Join entrepreneur and military veteran Roy Adams of GiNOSKO Consulting each week as he talks about the wicked problems people face in their personal and professional lives, and how to navigate them. 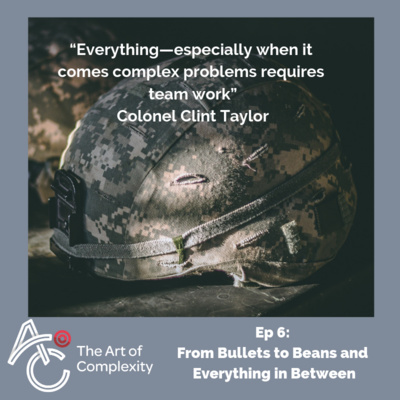 He will be joined by a variety of guests including CEOs, authors, entrepreneurs, and fellow military professionals, to discuss how complexity works in organizations and society; and how leading and solving complex challenges is an art form. From the streets of Beirut--to the sands of Iraq--to the facilities of NASA, today's guest has been through it all. 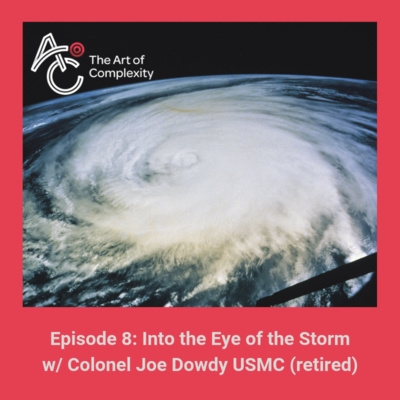 Colonel Joe Dowdy, USMC (retired) joins Roy as they explore complexity and leadership in a variety of places and situations. Joe is a master story teller and you will enjoy this engaging and relevant conversation. He masterfully weaves his "10 Rules of Combat" or leadership that are applicable to any situation you may find yourself within. We want to hear from you...new to the podcast and only available through the Anchor mobile app, will be your ability to ask questions related to the episode or topic. So go to your favorite app store and download the Anchor mobile app (iTunes or Google Play). Search for The Art of Complexity and leave us a message. Your question and our answer may be featured in an upcoming episode. So Lean In and let us hear from you. To download Joe's "Rules of Combat" go to artofcomplexity.com and sign up for our weekly "Lean In" posts and we will send them your way. 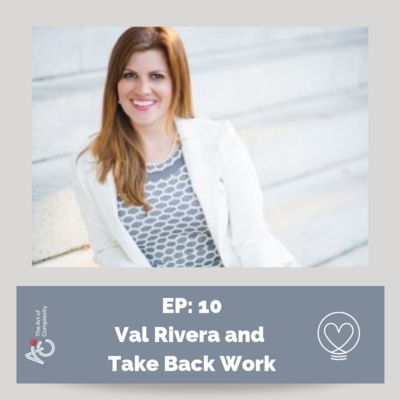 Ep 4 - Restoring Community: How risk, persistence, and faith can solve the complex game! Raised to read, to learn, to think and act beyond, Major General (retired) William F. Grimsley understood from a very young age the world is full of complex problems. He learned early in life that he must be in a constant state of recreating himself in order to solve the complex challenges he would face. In Episode #3 of the Art of Complexity, Roy tackles the story of General Grimsley in Growing the next version of you- forming the ethos of leadership. True intention separates those who speak from those who act. The way we navigate our world personifies who we are and how we solve problems. 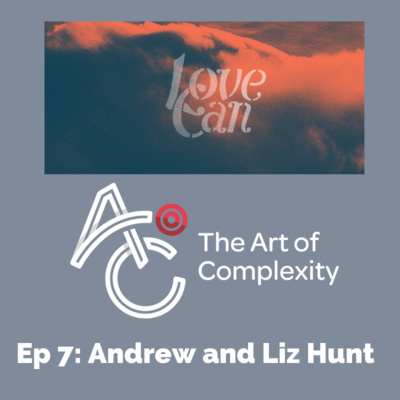 In Episode #2 of the Art of Complexity, Roy explores the compelling story of Ryan Taylor, entrepreneur and change agent, in navigating the complexity of the conflict minerals space. In our conversation, one key thing emerges—the Art of the Question.